Gerade erst hat er den renommierten Tschaikowsky-Wettbewerb gewonnen, und im Februar diesen Jahres konnte das deutsche Publikum den in Sibirien geborenen Pianisten Dmitry Masleev erstmals live erleben. Am 27. Mai spielt er erneut in Deutschland. Beim Klavier-Festival Ruhr stehen u.a. 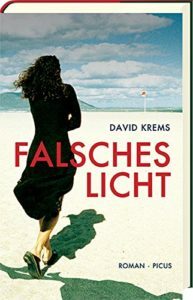 Werke von Bach, Schumann, Schubert und Liszt auf dem Programm. Im Interview mit dem Feuilletonscout spricht der junge Musiker über seinen Erfolg, seine Heimat und warum er immer eine Kamera dabei hat. Feuilletonscout: You won the Tschaikowsky competition this year. What is the best aspect about this for you personally? Dmitry Masleev: I am not sure if doing well in a competition is the universally effective recipe for building a career, but it was the only way open to me. It gave me not only a motivation to keep practicing but also the valuable experience of making music in a very stressful situation; both of these things helped me become a better, more resilient performer. Besides, the Tchaikovsky Competition is not just musical Olympics, it is a hugely significant event that brings together people who genuinely love music, and being a part of that was very inspiring and humbling. The whole neighborhood around the Moscow Conservatory, where the competition was taking place, was filled will musical electricity. Of course, the victory gave me a huge impulse and opened new frontiers, which I am excited to explore. Feuilletonscout: Are you sometimes a little overwhelmed by your success and do you get a little homesick as a result? Dmitry Masleev: Long-distance international travel certainly took some getting used to for a home body like me! I have learned to enjoy the most valuable aspects of visiting different places around the world and constantly having to make meaningful artistic connections with new people. These situations challenge me to continue developing as an individual, to broaden my horizons. But I’ll be honest: I also really enjoy coming back home. I am trying to be smart about the pace of my career: it’s so easy to get carried away when the best orchestras and festivals are calling, but I believe it is better to say “not now” to an invitation rather than to allow my schedule to become too crazy. Feuilletonscout: You come from Ulan-Ude, a city in Siberia. What or who got you interested in music? Dmitry Masleev: In Russia most children are introduced to music and receive some kind of basic musical lessons. My parents signed me up at the local music school where my only options were piano and accordion. I was fascinated with the sound and look of the accordion, but was too small to hold it properly, so I tried the piano instead and it quickly became a very significant part of my life. My Mum was particularly supportive of my musical studies but there was no pressure to be No. 1, just love and encouragement. I guess I was very fortunate! Feuilletonscout: Do you have a favorite composer? Dmitry Masleev: It would be absolutely impossible to choose just one. My passion is always focused on the music that I am currently learning or performing, so I suppose my favourite composer changes according to my performance schedule. I have just performed Beethoven’s Emperor Concerto for the first time at the Mariinsky Concert Hall in St. Petersburg. When I was preparing this iconic work over the past few months, I was consumed with Beethoven, his language, his harmonies, his colours. Another name that always springs to mind when people ask me this question is Rachmaninoff. He is one of the true gods of music. We are so fortunate that we can enjoy not only his Masterpieces, but also his own recordings. And they are truly amazing. Feuilletonscout: You enjoy photography and always have a camera on you when you travel. How do the musician and the photographer Dmitry Masleev communicate with each other? How do you pick your themes? Dmitry Masleev: Fortunately, Dmitry the musician and Dmitry the photographer are the same person! When I am out with my camera, I let my eyes lead me as I seek out beauty, sometimes deliberate (I love taking pictures of architecture) and sometimes accidental. I try to capture the essence of what I encounter – a place, a person, a flowering tree – and show it in a surprising way using different lenses, angles and techniques. It allows me to rest my mind and refocus my attention, and I now have a great visual diary of all the places I have visited as a performer. Feuilletonscout: Do you have a musical dream or vision? Dmitry Masleev: Of course! I love to dream big but I also know that I have to keep working constantly in order to continue growing as a musician and as a person, and this very thought brings me down to Earth. Although I am spending quite a lot of time in the clouds these days, flying around the world from one concert to another :) But seriously speaking, a significant part of my vision is developing a deep and rich relationship with my audience. I love playing for people and the process is as much about them as it is about me. I simply want to pull away the curtain of everyday noise and reveal the beauty of a certain piece of music as truthfully as possible. The next 5-10 years will be crucial in achieving this and then I will spend the rest of my musical life perfecting the ability to make these connections. Feuilletonscout: What are your next plans? 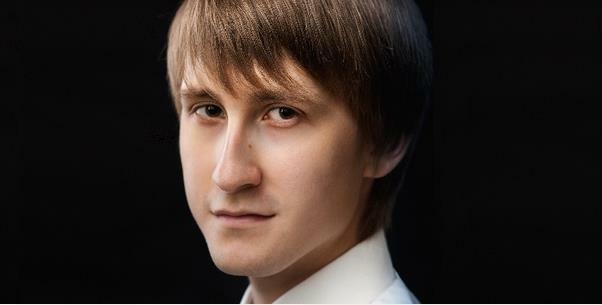 Dmitry Masleev: My future plans include expanding the repertoire, making a recording, collaborating with very interesting musicians, and learning as much as I can about different genres of music and other art forms. 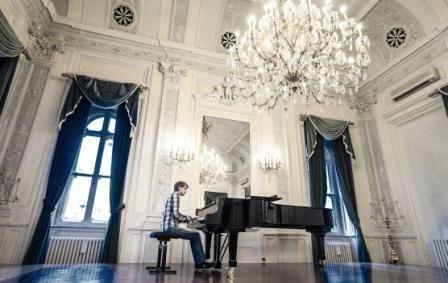 Werke von Bach, Schumann, Schubert, Liszt u. a.